George Krupicka was born and raised in Oregon. 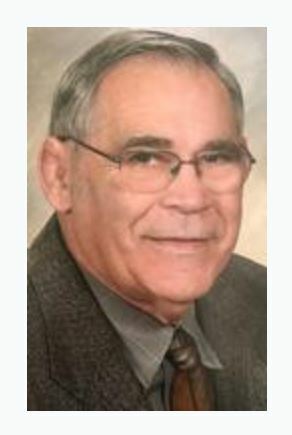 He gave a lifetime of service motivating youth through the sport of wrestling and teaching mathematics, health, and PE. He devoted his professional and personal life to the development of leadership in young people. He was a three-sport letterman in high school (football, track, and wrestling). He attended the University of Oregon on a football scholarship, but it was wrestling that stayed with him after graduating from college. He coached wrestling for 32 years at North Eugene High and was assistant wrestling coach at the University of Oregon. He worked closely with the Cultural Exchange Program, and hosted the regional Junior Development Tournament many times. He was inducted into the National Wrestling Hall of Fame in1998. Family and faith were most important to George through out his life, though summers spent fishing on the Oregon Coast held a special place in his heart. George lived life to the fullest, filling his days with love and laughter with his wife and family. George is survived by all of those he has touched, and will continue to be loved by many. In lieu of flowers please make a donation to your favorite non-profit youth organization. A Funeral Mass will be held Friday, August 25 at 11:30 a.m. at St. Peter Catholic Church. Arrangements entrusted to Musgrove Family Mortuary.